It’s very important to instill in your children an appreciation for the exception to a rule. If you feel you have failed horribly at indoctrinating this moral imperative, Halloween is a great opportunity to reverse your parental ineptitude. 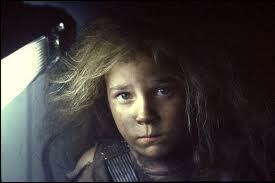 Say to your children, “Children, never, ever, ever take candy from strangers. Except on this one day where you should actively seek out as many strangers as possible, the sketchier looking their personal appearance and living quarters, the better. And why shouldn’t they? 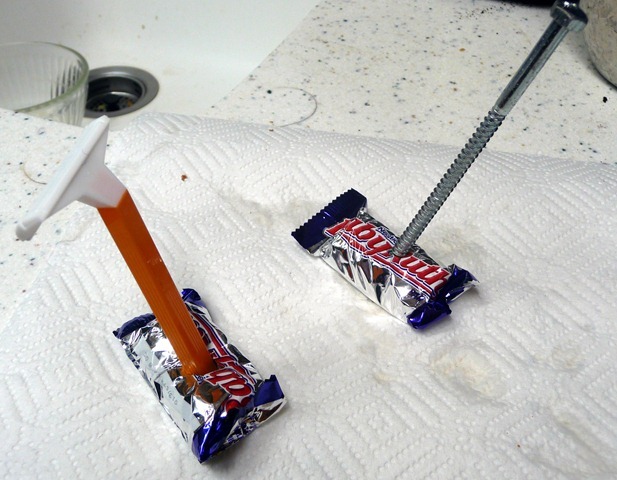 Poisoned candy and razor blades are myths. …or are they? 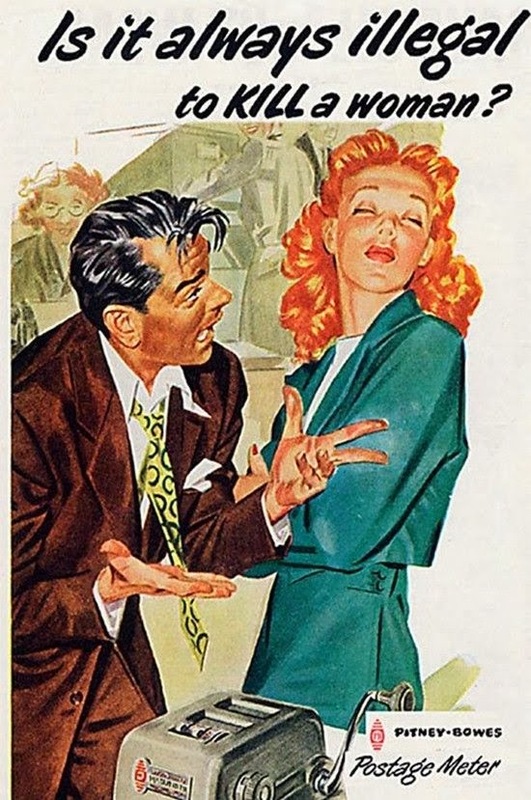 In all fairness to the paranoid, razor blades or pins have made an appearance once in awhile in the last half century. However, (chicken and the egg here) the majority of those were hoaxes inspired by the myth, either pranks by kids to their parents (GENIUS) or parents to their kids (dear god, what is wrong with you people?!). 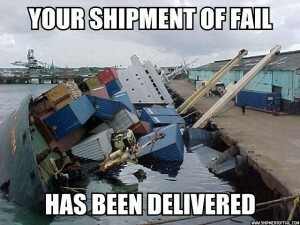 And no one was severely harmed. Cuz biting down on metal is something you sort of notice before it reaches the soft innards of your gastrointestinal delicates. As for poisoned candy, the evidence (provided by Dr. Joel Best) denies it ever happening. …At least by strangers to strangers. Addictive powder through a straw. Start em young. 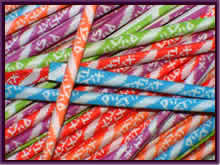 There was a guy in Detroit in 1974 named Ronald Clark O’Bryan who poisoned Pixie Sticks and gave them to his son. His son died, and he blamed it on the neighbors’ tainted candy. His Fail was being behind the times. Hello, no one gives out Pixie Sticks anymore, as the police found when investigating the neighbors, just before they noticed that he had just taken a huge life insurance policy out on his son. A classic. 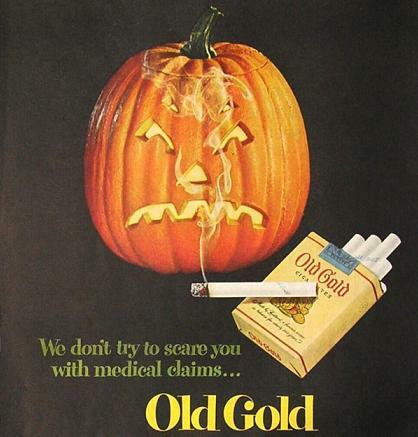 In 1970 a poor kid ate heroin-laced Halloween candy and died of an overdose…so the media said. 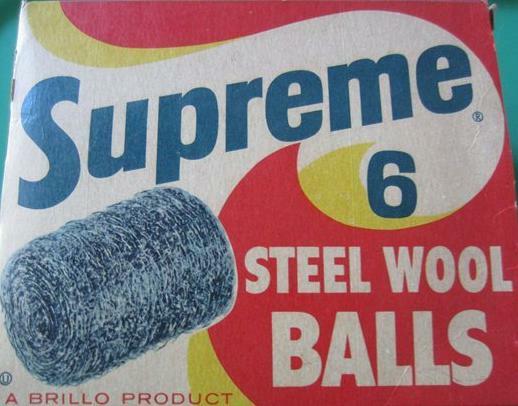 who wouldn’t want balls of steel? Those are the sad stories. 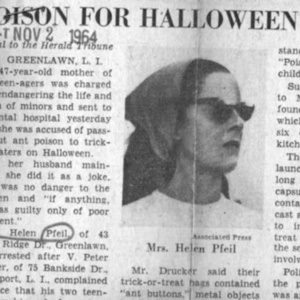 The better stories come from legendary greats like Helen Pfeil in 1964, who gave out dog biscuits, steel wool, and (clearly marked) ant poison to teenagers she felt were too old to be trick or treating. Which makes me want to start ringing doorbells, because, dude, free steel wool. Unfortunately, the public didn’t appreciate Helen’s message to these freeloading slackers, EVEN THOUGH she told the kids what they were getting and no one tried eating any of it. She pleaded guilty immediately and her sentence was suspended. Dr. Best thinks this may be the origin of the myths. Another gem occurred in 2000, when parents found their kids’ Snickers bars to be hollowed out wrappers crammed with weed. The cops traced it back to a certain homeowner who was extremely confused. Turns out he worked in the dead letter department of the post office, and found a bag of Snickers in the lost packages. Someone’s epic fail at smuggling pot was brought to this guy, who, having lived in a dark hole for the majority of his life, didn’t notice what must have been a significant weight difference in the candies. Deciding to save a few bucks this year, he brought them home and gave them out to the innocent children. Who, doubtless, are now addicts and sadists, having their had their first taste of the notorious gateway drug. So there you have it. The real victim here? 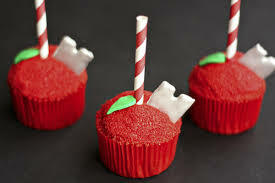 The candy itself. Used and abused time and again for hoaxes, last minute cover ups, or naïve postmen. Eat your candy folks, it won’t harm you. I can’t speak for your greedy, drug addicted, psychopathic family members, but the goods are all good. What is that ‘kill a woman’ poster from? What does that even have to do with the ad? Weird! 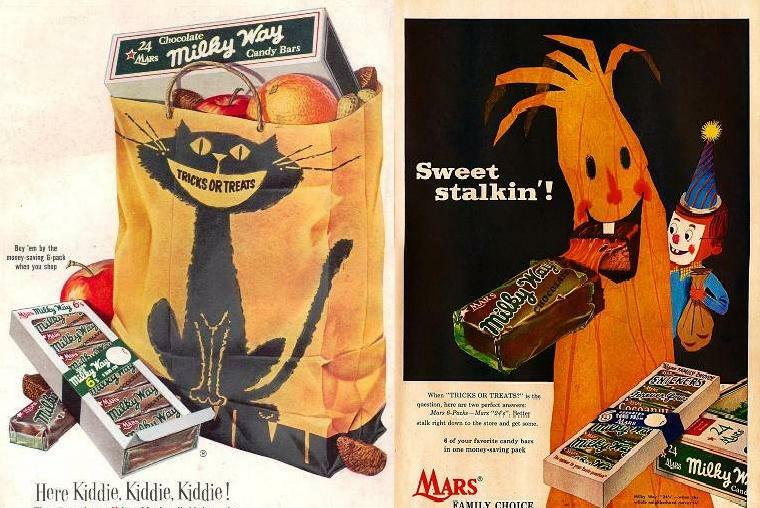 Growing up, after returning with our loot, we would spread it out on the dining room table and give everything a good looking over…praying for little bags of, um, Snickers.